It’s that time of year again…eating, shopping, eating…maybe shopping again. When you shop for gifts this year, we hope you consider local, small businesses in St. Louis (or wherever you are). Your dollars have the greatest impact on your community when they stay close to home, and locally owned small businesses keep even more of that money nearby. And there’s really no need to stand in long lines of exhausted, aggressive deal-seekers waiting for a big box store to open at midnight (or even on Thanksgiving!). You won’t even be done digesting your turkey before you get trampled for the latest TV or toy! The holiday season is the most important time of the year for us. We plan months in advance to make sure we have enough and the right kind of confections that make our customers happiest. We hire extra hands and offer unique holiday packaging and special treats. You can help support Kakao and other small businesses firstly by shopping small and secondly by paying cash. When you pay cash, we don’t have to pay substantial credit card processing fees. And the money saved on those fees benefits everyone (except the big banks!) when it goes back to our shared community (and to more chocolate!). 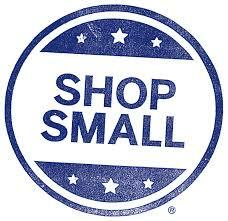 Small Business Saturday is on November 30th. Both Kakao shops will be open all day as usual, with lots of holiday treats. And don’t forget all of downtown Maplewood, and the many small businesses in St. Louis – there are many locally owned shops selling jewelry, clothing, soaps, lotions, fine foods and more! All things that your loved ones might enjoy more than whatever you might find at a big box retailer. We’ll see you on Saturday, or (hopefully) on Friday!